Part of the MODA Pondicherry French General Collection. 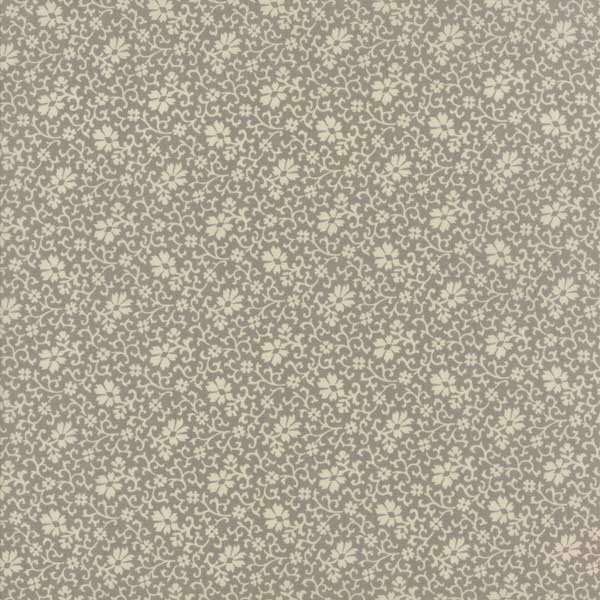 Grey and crem colored fabric with cream colored flowers. 100% Cotton; Machine Washable.